To examine whether items in Berger’s HIV Stigma Scale function differently with persons of different age, gender, and cultural backgrounds. Secondary data from cohorts, collected in South India (n = 250), Sweden (n = 193), and the US (n = 603) were reanalyzed to evaluate DIF within, between, and across these cohorts. All participants had answered the revised version of the HIV stigma scale consisting of 32 items forming the subscales Personalized stigma, Disclosure concerns, Concerns about public attitudes, and Negative self-image. Differential Item Functioning (DIF) for these items was assessed using hybrid ordinal regression-IRT technique. When DIF was detected, the cumulative impact of DIF on individual subscale scores was evaluated. DIF was detected for 9 items within, between, or across cohorts, but the DIF was negligible in general. Detected DIF between the Swedish and Indian cohorts had a cumulative salient impact on individual scores for the subscale Disclosure Concerns; Disclosure concerns were overestimated in the Swedish cohort and both over- and underestimated in the Indian cohort. The items in the 32-item version of the HIV stigma scale did not seem to be particularly prone to present DIF. The DIF between the Indian and Swedish cohort for items in the subscale Disclosure Concerns could, however, result in both type I and type II errors if scores should be compared between the Indian and Swedish cohort. The online version of this article ( https://doi.org/10.1007/s11136-018-1841-4) contains supplementary material, which is available to authorized users. Since the beginning of the pandemic, people with HIV have been stigmatized. Mahajan  defines HIV-related stigma as when people living with HIV are labeled, stereotyped, experience separation and status loss, and become discriminated both on an individual and structural level. Across different contexts perceived HIV-related stigma is associated to poor mental and physical health for persons living with HIV [2, 3, 4, 5]. Even in the current era of efficient treatment, making HIV a chronic illness with normal life expectancy where treatment is generally available, people living with HIV are exposed to and relate to HIV-related stigma [6, 7] and stigma has been found to be a common barrier to treatment and prevention [8, 9]. 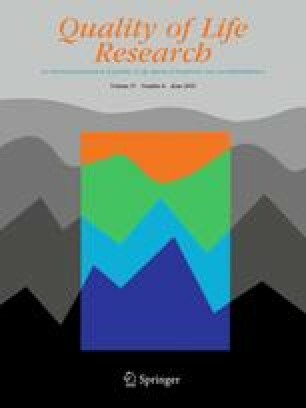 Stigma has sometimes been understood as an individual process, where stigma is constituted of what some individuals do to others , whereas other scholars have argued that an individual perspective of stigma only may be relevant in highly individualized countries (as the US or some parts of Europe) . Parker and Aggleton  argue that stigma, where it appears, is strongly related to the specific context of culture and power, and that the social and cultural phenomenon of stigma may be linked to actions of whole groups of people. Some known aspects of HIV-related stigma are also clearly cultural specific, as they, for example, relate to specific religious beliefs . The efforts to reduce HIV-related stigma have yet not matched the magnitude of the problem . Parker and Aggleton suggest that the diversity and complexity of HIV-related stigma makes it difficult to grasp in a programmatically useful way . Ogden and Nyblade, on the other hand, argue that differences in HIV-related stigma across cultures are largely superficial and that stigma is expressed remarkably consistent across contexts . Valid and reliable instruments for measuring HIV-related stigma are essential for stigma research, for evaluation of stigma-reducing interventions, and for monitoring and understanding experiences of HIV-related stigma [10, 14, 15]. Based on findings that suggest consistencies in HIV-related stigma across cultures , it would be valuable to have measures of HIV-related stigma that are valid across cultures, thus enabling measurement of changing trends in HIV-related stigma over time and across contexts. One of the many instruments designed to measure HIV-related stigma perceived by persons living with HIV is the HIV Stigma Scale by Berger et al. . Although developed and originally found valid and reliable in a US context , the instrument has been translated and found to be relevant and valid across various countries and cultures [17, 18]. These findings suggest that HIV-related stigma as assessed by the Berger’s scale is, to some extent, universal. For example, the HIV Stigma Scale has been used to compare levels of perceived HIV-related stigma among persons living with HIV in Kenyan, Puerto Rican, and the United States contexts , where Hispanics reported significantly higher levels of stigma than persons from the African continent. When used in Kenya, Puerto Rico, and the United States, the HIV Stigma Scale showed good internal consistency measured by Cronbach’s α for the combined data. The authors, however, did not explore differential item functioning for items in the HIV Stigma Scale, and it is possible that participants from different countries interpreted the items differently, resulting in bias. Participants’ interpretation of scales can be assessed with methods based on Item Response Theory (IRT) and analysis of Differential Item Functioning (DIF). As items in the HIV Stigma Scale are statements that participants are requested to agree or disagree with on a four-point Likert scale, the probability that an individual will agree with the statement on a certain item can, according to IRT, be seen as a mathematical function of how stigmatized the person is and how severe the stigma is that the item captures. Items in the HIV Stigma Scale would be considered to have DIF if participants with different sociodemographic backgrounds have unequal probabilities of agreeing with statements in the items, while experiencing the same level of stigma . For example, an analysis of DIF in an American sample, showed that black, non-Hispanic persons and white, non-Hispanic persons with the same level of stigma, had different probabilities of agreeing with items in the HIV Stigma Scale, indicating that persons with different backgrounds may experience HIV-related stigma differently . In addition to its use in several studies in the United States [21, 22, 23], the HIV Stigma Scale has been used, for example, in Sweden  and South India , providing an ideal opportunity to evaluate whether DIF occurs. The HIV Stigma Scale has been translated into the respective native languages, back translated into English, and checked for comparability with the original English questionnaire [17, 18]. The English, Tamil, and Swedish versions of the instrument could therefore be considered consistent regarding content and all items were found relevant for both a Swedish and a South Indian context by both experts and people living with HIV in each country [17, 18]. There are, however, results from the psychometric validation from both the Swedish and the Indian contexts that may indicate that at least parts of the concept of HIV-related stigma are culturally embedded. For the Swedish version, a high rate of missing responses were found for an item regarding the risk of losing employment if one’s HIV status is disclosed, where written comments in the margin of the questionnaire (“Does this happen in Sweden?”) indicated that some Swedish respondents found this item irrelevant . In validation of the Indian version of the HIV Stigma Scale, respondents had difficulties understanding the four-point Likert scale and the word “unclean” in the item “Having HIV makes me feel unclean” was often misinterpreted to mean “personal hygiene” . Although the HIV Stigma Scale has been used for measuring stigma in a wide range of different contexts, it is not clear whether items in the HIV Stigma Scale are interpreted differently by persons with different backgrounds. The aim of the present study was, therefore, to examine whether items in the HIV Stigma Scale function differently with regard to gender and cultural background. The present work builds on secondary analysis of data collected using the HIV Stigma Scale in India , Sweden , and three areas in the US, South Carolina , Iowa , and the city of Chicago . Item-level data from these studies were used to evaluate items for DIF between, within, and across the cohorts. A hybrid ordinal logistic regression—IRT approach  was used for DIF detection, using the lordif-package  with R statistics . When DIF was detected, we evaluated the cumulative impact that the detected DIF had on individual IRT scores . Data from the Swedish cohort were collected at the Karolinska University hospital in Stockholm in 2013 from 193 persons living with HIV . Data for the South Indian cohort were collected from 2007 to 2008 through networks caring for men and women living with HIV in the state of Tamil Nadu. Participants were residing in and around the cities Chennai (n = 150), which is an urban area and Vellore (n = 100), a semirural area . Data from the United States were collected at two different time points in three different states. Between 2005 and 2010, data were collected through Ryan White II/III clinics and a community-based organization providing medical case management in South Carolina (n = 210) , from Iowa Department of Public Health Title II case-managed clients in Iowa (n = 331) , and a private University Hospital HIV Clinic in Chicago (n = 62) . Available data on sociodemographic information differed across location. Information about gender and age was available for all participants from Sweden, India, and Chicago (US). Gender was categorized as male, female, or transgender in data collected in Chicago, with one participant categorized as transgender. For all other data, gender was categorized as male or female. Differences between cohorts were assessed with χ2-test for gender and ANOVA with Tukey post hoc analysis for age. The HIV Stigma Scale is designed to measure four dimensions of perceived HIV-related stigma among persons living with HIV: Personalized stigma, Disclosure concerns, Concerns about public attitudes, and Negative self-image. Personalized stigma is proposed to capture perceived consequences of other people knowing about one’s HIV infection. Disclosure concerns captures concerns that one can have over disclosing one’s HIV status to others. Concerns about public attitudes includes concerns that one can have over what other people think about people with HIV. Negative self-image includes negative feelings that one can have about oneself related to one’s HIV, (e.g., feeling unclean or not as good as others because of HIV) . In scale construction of the original HIV Stigma Scale, items were assigned to dimensions following an exploratory factor analysis where a majority of items cross-loaded. Seventeen items were therefore assigned to more than one dimension. Subscales were subsequently refined to consist of unique items in a revised 32-item version . Since DIF analyses with the lordif-package assume unidimensionality in the latent trait, where all items measure a single concept , the items that compose the revised 32-item version of the HIV Stigma Scale were used in the present work. The instrument includes 32 statements related to HIV stigma that are completed on a four-point Likert scale, ranging from 1 (“completely disagree”) to 4 (“completely agree”), and item scores for each subscale are summed into subscale scores . Higher scores indicate higher levels of perceived stigma for all four subscales. Unidimensionality for scales was assessed through confirmatory factor analysis (CFA), where all items in each scale were specified to load onto one single factor, respectively. Since responses to the HIV stigma scale are ordinal, the CFA models were fitted using weighted least squares means and variance (WLSMV) . Measures of model fit used were as follows: Chi-square (expected to be non-significant if the model showed acceptable fit to the data), the Comparative Fit Index and the Tucker–Lewis Index (CFI and TLI, cut-off > 0.95), and the root mean square error of approximation (RMSEA, cut-off < 0.08) [31, 32]. Since Chi-squares were significant in all CFA’s but three and RMSEA exceeded the cut-off for two subscales regarding the Swedish cohort, we also assessed the dimensionality of the models exploratory with parallel analysis and the Empirical Kaiser Criterion . where P(ui ≥ k) represented probabilities that item response ui is k or higher , θ was the latent trait in the present work, four dimensions of perceived HIV-related stigma (Personalized stigma, Disclosure Concerns, Concerns of public attitudes and Negative Self-image). Group was a variable indicating group (country or gender) and (θ × group) represented the interaction between the latent trait and group. Pseudo R2 changes (Nagelkerke) were used as a criterion for DIF detection. When pseudo R2 changes for an item exceeded the empirical threshold, that item was flagged for DIF. Pseudo R2 changes between Model 1 and Model 2 indicate a uniform DIF, with a constant effect for different levels of stigma while pseudo R2 changes between Model 2 and 3 indicate a non-uniform DIF, with an effect that varied conditional on levels of stigma. The procedure was extended for multiple groups in analysis of DIF between cohorts . Empirical thresholds for DIF detection were generated through Monte Carlo simulations of DIF-free samples . The empirical thresholds were set to be above the highest value identified in the Monte Carlo simulation, identical for all items in each separate analysis, but varying between analyses . The Monte Carlo-simulated item-level thresholds are presented in Online Resource 1. An iterative process was used to prevent false-positive and false-negative results that may occur when many items with DIF are included in analysis . Trait estimates were updated using the items that were not flagged for DIF and used as a new threshold for DIF detection. The logistic regression was then repeated and if different items were flagged for DIF than in the initial calculation, trait estimates were updated again based on the DIF-free samples in the most previous round. This procedure was repeated until the same items were flagged for DIF in two successive rounds . Based on the knowledge that HIV-related stigma can be experienced differently by persons living with HIV from different backgrounds , a series of DIF analyses was performed between and within each cohort, comparing groups with different backgrounds. For the US cohort, DIF was examined between Black, non-Hispanic persons and White, non-Hispanic persons (data collected in Chicago excluded), as earlier examined by Rao et al. . The US cohort was then combined with the Swedish and South Indian cohort and DIF was assessed between persons living in Sweden, the US, and South India. Since respondents in the different cohorts differed with respect to gender, we also examined whether the HIV Stigma Scale had DIF between men and women. Transgender was in analysis coded as missing since this category only included one respondent. DIF related to gender was assessed for the three cohorts combined and are referred to as DIF across cohorts. There are no minimal clinically important score differences specified for the HIV Stigma Scale to define a salient DIF. We therefore evaluated the individual-level cumulative impact of detected DIF through comparing unadjusted IRT scores (with DIF) with adjusted IRT scores (accounted for DIF). Unadjusted IRT scores were subtracted from adjusted IRT scores and if individual IRT scores were unaffected by DIF, this difference would be zero . Differences that were equal to or exceeded a small effect size (i.e., 0.20) were considered to be salient . Demographic characteristics by cohort are shown in Table 1. The US sample had a significantly higher proportion of males compared to the Indian sample (66% vs. 50%, χ2 = 60.8, p < 0.001). Further, the one-way ANOVA showed a statistical significance between group effect of age (F(2,495) = 126.7, p < 0.001) (data on participants’ age were not available for Iowa and South Carolina). Post hoc comparisons using the Tukey HSD test indicated that the mean age of Indian respondents (mean = 35, SD = ± 6) was significantly lower than the mean age of respondents from the US (mean = 43, SD = ± 11) and Sweden (mean = 49, SD = ± 12), p < 0.001. Mean age for respondents from the US (mean = 43, SD = ± 11) was also significantly lower than the mean age of Swedish respondents (mean = 49, SD = ± 12), p < 0.001. The unidimensional models yielded reasonable fit for all data combined and for the South Indian and US cohort separately (Table 2) which suggested suitability for unidimensional IRT analysis. For the Swedish cohort, unidimensionality was not supported in the confirmatory analysis for the scales Disclosure concerns and Concerns with public attitudes. The exploratory analysis using parallel analysis suggested one-factor solution in all analyses. The Empirical Kaiser Criterion, however, suggested two-factor solutions for Disclosure concerns and Negative self-image regarding the South Indian cohort and for Disclosure concerns regarding the Swedish cohort. The lowest number of endorsements for a category in a group was six. Since the minimum cell count was set to five, none of the response categories were collapsed. Nine items in the HIV Stigma Scale were flagged for DIF with pseudo R2 change exceeding the thresholds generated through Monte Carlo simulations of DIF-free samples (Table 3). Both uniform (with a constant effect for different levels of stigma) and non-uniform DIF findings (with an effect that varies depending on levels of stigma) were detected. For the US cohort, DIF was examined between Black, non-Hispanic persons and White, non-Hispanic persons. No items were flagged for DIF within the US cohort. Nine items in the HIV Stigma Scale were flagged for either uniform, non-uniform, or both uniform and non-uniform DIF between persons living in Sweden, the US, and South India, respectively. One item for Personalized stigma, five items for Disclosure concerns, one item for Concerns about public attitudes, and two items for Negative self-image (Table 3). One item was found to have non-uniform DIF between men and women (Table 3) (1. In many areas of my life, no one knows that I have HIV, belonging to the subscale Disclosure concerns). The detected DIF was, in general, negligible, since the cumulative impact of DIF on individual IRT scores was below 0.2. Salient individual-level impacts of DIF (exceeding 0.2) were, however, detected between cohorts for the subscales Disclosure concerns, which are detailed below and shown in Fig. 1. Regarding DIF between cohorts, changes in individual IRT scores exceeded 0.2 and were therefore thought to be salient for the subscale Disclosure concerns (Fig. 1). Scores for respondents from the US were mainly unaffected by DIF, but DIF had a salient impact on scores for Indian and Swedish respondents, with effects in opposite directions. For Disclosure concerns, the HIV Stigma Scale seemed to overestimate scores for Swedish participants and both overestimate (for persons with low levels of Disclosure concerns) and underestimate (for persons with high levels of Disclosure concerns) scores for Indian participants (Fig. 1). The mean of the differences was close to zero, indicating that this DIF would not affect the mean score if levels of Disclosure concerns would be presented for persons from the Swedish, US, and South Indian cohort together. The HIV Stigma Scale was developed for quantitative measurement of HIV-related stigma, as perceived by persons living with HIV. Though adapted and used in diverse contexts, this is the first time that the instrument has been assessed for gender-related DIF and DIF across different cultural contexts. The results of the present study indicate that the items in the HIV stigma scale were not especially prone to present culture-related DIF for the subscales Personalized stigma, Concerns about public attitudes, and Negative self-image. These subscales seem to cover aspects of stigma that in general are equally interpreted regarding content across the different groups investigated. These results indicate that levels of Personalized stigma, Concerns about public attitudes, and Negative self-image may be compared between the cohorts without the risk of results being culturally biased. Salient DIF was, however, found between the South Indian and Swedish cohorts for the subscale Disclosure concerns. The subscale Disclosure concerns measures concerns that one can have over disclosing one’s HIV status to others. The items that present DIF mainly covers the aspect that one’s HIV is a secret and we can only speculate about potential reasons for this DIF. Since India is more densely populated than Sweden, it may be likely that participants in the South Indian cohort live physically closer to family and neighbors than the participants in the Swedish cohort, making it harder for the South Indian participants to keep their HIV a secret. India has been characterized as a ‘collectivist’ society  and Sweden more of an individualistic society , particularly around interpersonal issues. According to Chadda and Deb  family is far more involved in the care of its members in the Indian society, compared to western societies. This might also make it more difficult for the South Indian participants to keep their HIV a secret from their family, compared to the Swedish participants. If keeping one’s HIV a secret is difficult, on the edge of being impossible, in the South Indian context, items like “I work hard to keep my HIV a secret” might have been perceived as irrelevant for South Indian participant, thus generating the detected DIF. When Rao et al. examined DIF between Black, non-Hispanic persons and White, non-Hispanic persons, nine items of the scale demonstrated DIF. Our present results did not replicate these findings, as no items were flagged for DIF between Black, non-Hispanic persons and White, non-Hispanic persons. A possible explanation for the differences in results could be that Rao et al. examined the 40-item version of the HIV Stigma Scale, while the 32-item version was examined in the present study. Seven of the items, from the 40-item full version of the instrument, that demonstrated DIF in the earlier study by Rao et al. were items that cross-loaded in an exploratory factor analysis and therefore were excluded from the 32-item version of the instrument . A common reason for DIF is a lack of translation equivalence . The item “Having HIV makes me feel unclean” (Item 12), for example, could not be adequately translated to Tamil, since no words in Tamil captured the intended meaning of “unclean” . This was adjusted for by letting the questionnaire be administered by professional raters in the South Indian cohort, who assured that item content was understood as intended . A similar procedure was used for the Swedish cohort where members of the research team also were present to answer questions and assist respondents with explanations of items if needed . The item “Having HIV makes me feel unclean” (Item 12) did not demonstrate DIF in the present analysis, but if the HIV Stigma Scale is used as a self-administered instrument as originally intended, the detected DIF may possibly be even more pronounced. Unidimensionality was assessed with both confirmatory and exploratory methods. Since confirmatory methods indicated that some subscales might not be unidimensional, dimensionality was examined further with both parallel analysis and the Empirical Kaiser Criterion. Parallel analysis  supported unidimensionality for all subscales across all cohorts, while the Empirical Kaiser Criterion suggested two-factor solutions for the South Indian and Swedish cohort. Parallel analysis is an often recommended approach for dimensionality assessment . The HIV stigma scale is, however, an instrument constituted of oblique, highly correlated factors [16, 18], and for this specific case the Empirical Kaiser Criterion has been shown to outperform parallel analysis . We therefor conclude that the subscales Disclosure concerns and Negative self-image may be, at least, bi-factorial scales when used in the Swedish or South Indian context. These findings may have implications for the interpretation of the detected DIF, as multidimensionality can be mistaken for DIF . There are several techniques available for DIF detection, and there is a lack of consensus regarding thresholds for detection of DIF . As we used a hybrid ordinal logistic regression—IRT approach, other techniques may have produced different results. Since statistical significance not necessarily implies practical significance, we used a measure of effect size (changes in pseudo R2) as a criterion for when DIF should be detected . Different sets of rules have been presented for when pseudo R2 should be considered to represent DIF , where Zumbo  suggested that cut-offs indicating moderate and large DIF should be 0.13 and 0.26, respectively, while the Jodoin and Gierl approach suggests cut-offs of 0.035 and 0.070 . A cut-off level of 0.02 has also been commonly used and these different cut-offs can, unsurprisingly, produce very different numbers of items flagged for DIF . In the present work we used Monte Carlo simulations, as implemented in the lordif-package , to generate empirical cut-offs. This rendered cut-offs as low as 0.01 for some analyses, which also resulted in detection of DIF that did not have a salient impact on individual scores. This low threshold for DIF detection was, however, set knowing that cultural DIF probably was adjusted for already in data collection and we sought to find patterns in present DIF that perhaps would have been more pronounced if questionnaires had been exclusively self-administered. Limitations in the present work are that data were collected at different time points with over 5 years apart and that data from the United States and India were not collected with an intention to be representative for people living with HIV in the respective countries [17, 20, 24]. In those settings, the study populations represented a sub-set of all people living with HIV. The results, therefore, cannot be generalized to represent differences between countries. Furthermore, we do not know if the results would be replicated if data were collected at the same locations today. A recommended minimum sample size for ordinal logistic regression is 200 participants per group . Thus, a limitation in the present study is the Swedish sample size of 157–180 participants depending on subscale analyzed. In a simulation study, sample sizes as low as 100 per group were sufficient to detect large DIF but not moderate DIF . It is therefore possible that the present study failed to detect moderate but practically important DIF. Further limitations were that the datasets differed regarding gender and age, and we did not have access to other sociodemographic data. It is generally known that HIV-related stigma is linked to stigma related to other attributes, which can potentiate the power of stigmatization ; groups of people who are already exposed of racism, homophobia, sexism, or poverty are predisposed to greater HIV-related stigma . As we did not have access to data other than ratings to the HIV stigma scale and gender and, to some extent, age, we were not able to control for potentially confounding variables that may have been a true source of DIF. For the HIV Stigma Scale it would also be interesting to analyze if DIF occurs between groups of different health statuses, e.g., persons who are virally suppressed or not, persons who have been living with HIV for a longer or shorter period of time. Aside from these limitations, we propose that the results in the present work indicate that the items in the subscales Personalized stigma, Concerns about public attitudes, and Negative self-image in the HIV Stigma Scale are not especially prone to present salient DIF. However, the detected DIF between the Indian and Swedish cohort for the subscale Disclosure concerns did have a cumulative, albeit small, salient effect on individual IRT scores, which could result in both type I and type II errors if levels of Disclosure concerns should be compared between the Swedish and Indian cohorts. The detected DIF in the subscale Disclosure concerns could be a “true” differential item functioning, i.e., that persons from the Swedish and South Indian cohort respond differently to items regarding “keeping one’s HIV a secret” and “hiding one’s HIV,” respectively, even after accounting for their overall level of disclosure concerns. One possible explanation for this could be differences in the actual possibility to keep private things a secret in the Indian society, compared to the Swedish. An additional possible explanation could be that the unidimensional nature that the subscale Disclosure concerns seems to have in the Swedish and South Indian cohort may have caused a DIF due to multidimensionality. Apart from the cause of the detected DIF, we cannot recommend the subscales Disclosure concerns for comparisons between Sweden and South India. The results in the present study, however, support the use of the subscales Personalized stigma, Concerns about public attitudes, and Negative self-image for comparisons of levels of stigma between the cohorts investigated. As the HIV Stigma Scale is being used to assess stigma in a wide range of different countries, we encourage researchers using the HIV Stigma Scale to cooperate across country borders and examine the cross-cultural validity of the instrument further. This would broaden the understanding of the extent and forms of stigma faced by people living with HIV in different countries. The work presented here was supported by grants from the Doctoral School in Health Care Sciences, Karolinska Institutet. All procedures performed were in accordance with the ethical standards of the institutional and/or national research committee and with the 1964 Helsinki Declaration and its later amendments or comparable ethical standards. Procedures for data collection were approved by the Regional Ethical Review Board of Stockholm for data collection in Sweden, by the Institutional Review Boards of the Christian Medical College, Vellore, and the University of Washington for data collection in India, and by Northwestern University and Illinois State University for data collections in the US. Informed consent was obtained from all individual participants included in the study.